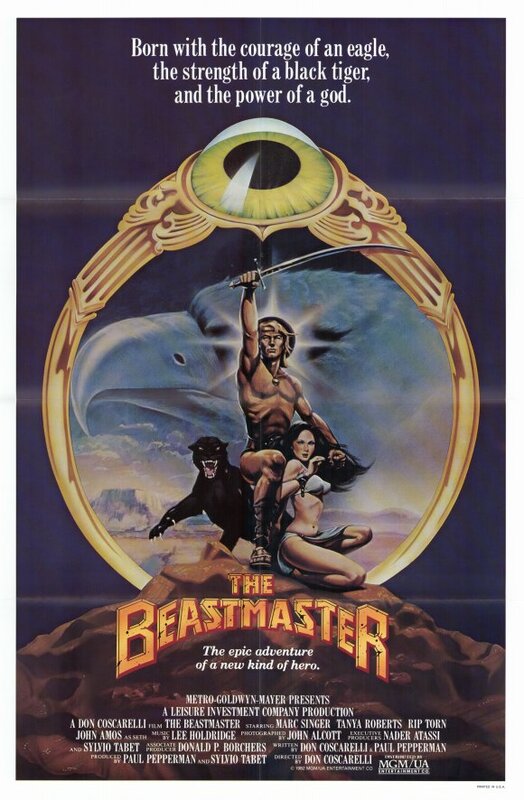 Yesterday's post about Marc Singer returning to "V" got us thinking about the actor's even bigger claim to fame: his pec-y portrayal of Dar in the ubiquitous Conan-like flick "The Beastmaster." 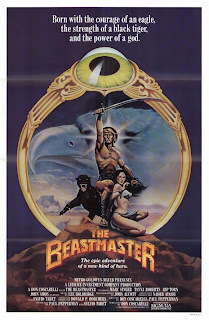 Dennis Miller used to joke that the 1982 movie was on TV so much, HBO actually stood for "Hey, Beastmaster's On." And it was, but for good reason: How can you go wrong with a sword-and-sorcery flick starring Singer, "Good Times'" John Amos and a nuded-up Tanya Roberts, ferrets named Kodo and Podo, plus scenery-chewing Rip Torn as the villain?